One thing that makes internet marketing so much tougher than traditional marketing channels is that the landscape of internet marketing is ever changing. Ads for television, radio, and print are largely the same as when they were first conceived. Internet marketing, on the other hand changes as quickly as new technology, trends, and websites are developed. For social media marketers, one emerging trend is the importance of images in promoting brand. Target audiences like teens, minorities, and women are turning to platforms like Instagram and Pinterest that deal solely in images. This can be problematic for businesses without large image databases to pull from. And even businesses with large catalogs can find themselves running low on original images. Here are three ways that companies without images can create original imagery to market their business. If the enduring popularity of posters with kittens and sunsets, and the never-ending supply of quotation books teach us anything, it’s that people love to be motivated. Marketers can take advantage of that to promote their brand. However, no matter how tempting it is to find existing motivational posters to draw people back to a social media channel, copyright infringement is no joke. Thankfully, famous quotes are free and stock images can be found through pay sites like Shutterstock or free sites like Stock.XCHNG. Combine the two together and marketers now have a limitless supply of original motivational posters to use on sites like Instagram or Pinterest. Motivational posters like this don’t directly encourage people to buy products or service from a company. But if people get used to seeing the images from the company shared by their friends, it improves the public’s perception of the organization. Eventually, when a person is in a position to consider using the company or its products, they will be more likely to buy from the business because of the good feelings they associate with the company. The quotes don’t necessarily have to be motivational, humorous quotes work just as well because people like to laugh. Using images like this is a good way to break up the content so the channel isn’t constantly shouting advertisements at the audience. If an advertisement weary audience clicks to hide posts from a company, future social media marketing efforts will become more expensive because they will have to pay more to reach their audience. On the other hand, the fact that someone likes any image posted by a channel will mean that more posts from the channel will be shown organically in the the user’s newsfeed in the future. This was touched on in a previous article on this blog, but the idea bears mentioning again. Companies with visually stimulating products should showcase these products on image-friendly platforms like Pinterest and Instagram. But people will easily get bored with seeing the same pictures every week, which can become a problem for retailers with a limited number of wares. Marketers can work to create seasonal variations of their product images (and descriptions) that will make items seem fresh and new to audiences who may have seen the item before. Use stock photos to create an image of the product relaxing on a beach, in a springtime meadow, and so on. Similarly, product images and famous photos can be combined to create funny marketing campaigns. A classic example is to stick an image of the product into the jacket of Napoleon. Another low-cost way to create images for social media marketing is to include behind the scene photos. Besides creating content, there are multiple advantages to doing this. Most importantly, it humanizes a company, which becomes more important the larger a company becomes. In terms of engagement, candid shots are just as popular as kittens on social media. Employees and customers alike enjoying seeing their friends and people they know. Finally, it can be used to showcase aspects of the organization that may not be known by the general public. A restaurant that bakes all of its own bread can showcase the baking process in images and non profit organizations can post images of the team preparing for an upcoming event. A side benefit of using behind-the-scene photos is that it’s easy to move the conversation back to the work of the organization. Presumably, any candid shot will show employees working on a project or about to work on the project. The photo, therefore, indirectly advertises the project itself. Images are essential to a social media marketing because they spread faster than posts with text or links. As image only platforms become more popular, it will be essential for businesses to create engaging images that promote their brand. 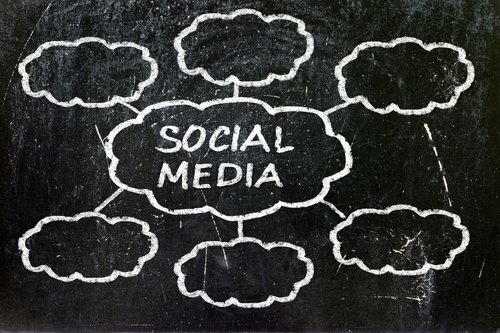 These tips will help business owners add variety to their social media channels. All it takes is some stock photos, Photoshop, and a little creativity and marketers for any organization can create images that will inspire and motivate potential customers.